After a poor start with cream eyeshadow sticks I have recently finally had some success. 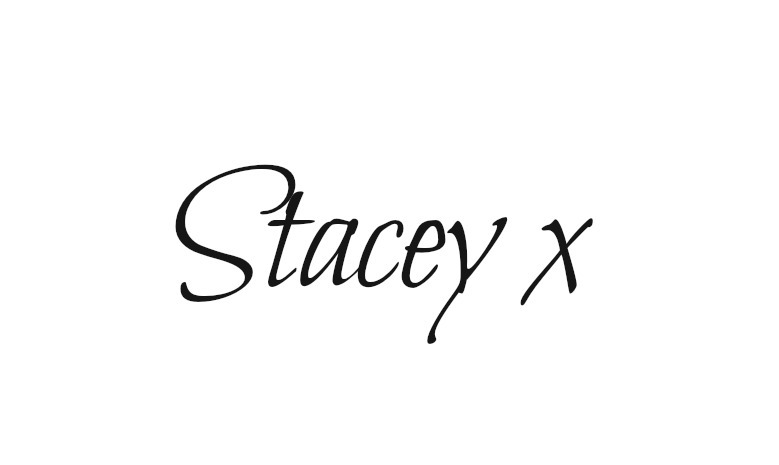 After disappointments from Laura Mercier and By Terry I feel like I have found two brands that have cracked it. 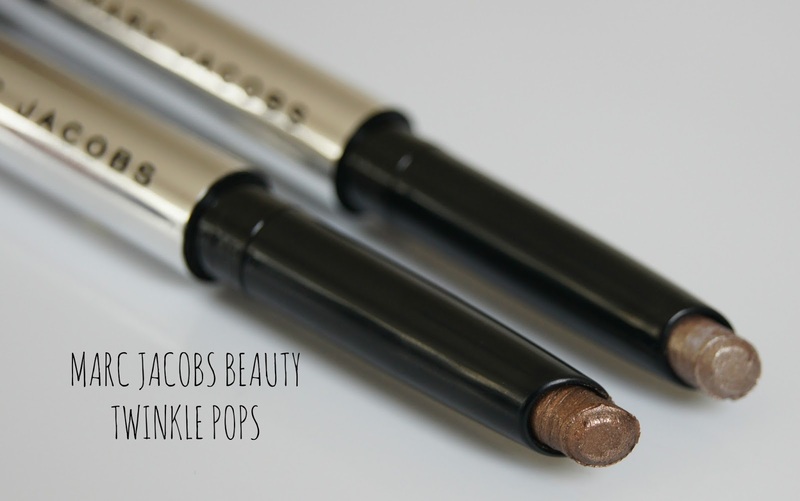 First up was the amazing Trish McEvoy 24hr Eye Shadow and Liner which I reviewed and adored recently and then these, a little surprise package in the form of the Marc Jacobs Twinkle Pop Eye Sticks. I didn't read any reviews before popping these into my Sephora shopping cart-I just love the idea of lazy girl, 'swipe and go' eyeshadow. And I love Marc Jacobs. The packaging is sleek and silver-I am not a huge fan of the 'colouring pencil' tip but it's not massively offensive, just a bit childish. Swatched, it was pretty much love at first sight. They seemed really creamy and pigmented. There are 9 shades in the range altogether and I chose two very 'me' shades-Au Revoir and Three Shakes. Au Revoir is a pewter shimmer and can look gold toned and silver toned depending what light you're in. They're pretty similar in terms of formula to the Trish McEvoy ones in that they're really creamy, don't tug at the lids and don't set hard drying out your lids. They do both pack on the shimmer though and have a very metallic finish. 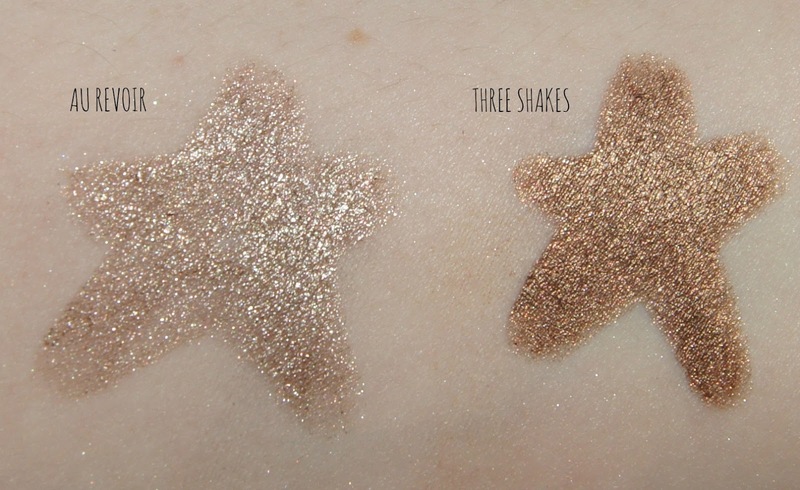 Three Shakes is a metallic bronze. This one is actually a little too creamy when applying-it's super super super pigmented, maybe even too pigmented which I know sounds bizarre but I felt like there was too much product on my lid initially. But it's pretty easy to blend out and once it's on it doesn't move. I am so busy at work at the moment I am not checking my make up at all during the day. Once my lipstick has faded it ain't getting reapplied. The first time I wore these I caught sight of myself in the mirror in the elevator going up to my apartment (come on we all do it!) and my eyeshadow was still totally in place. Like not faded or creased or anything. I was so impressed I took a picture to show you 12 hours wear-with a flash as it was dark. Ignoring the rest of my face my eyelids look pretty fresh right? The Twinkle Pop's have an angled applicator meaning it's easy to swipe across the lids and I tend to use a small fluffy brush to smooth the outer edges (I use a MAC 217 for everything). I thought these might be pretty gimmicky but actually they're a pretty solid performer for foil finish, long lasting pretty lids.